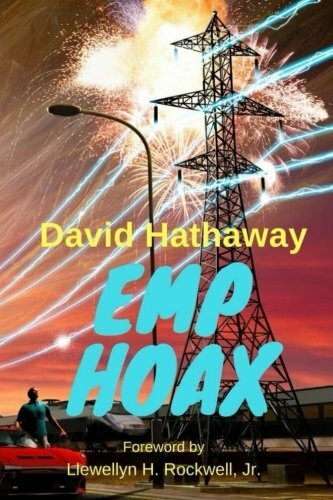 This is a synopsis of David Hathaway’s book “EMP Hoax” released in January, 2018. EMP has a lot of potential for years of taxpayer funded boondoggle technology. The single “definitive” event that purportedly proves that civilian infrastructure can be knocked out from a nuclear EMP is the “Hawaiian Street Light incident.” A government funded study supposedly proves an EMP cause for the incident. The ones who want to gin up fear usually point to this incident from the heyday of high-altitude nuclear blasts. On the night of July 8, 1962, the “Starfish Prime” atomic warhead was detonated over the Pacific. Residents of the Hawaiian Islands watched night turn to day from this blast that was 93 times more powerful than the one that destroyed Hiroshima. One of the U.S. Government’s main purposes for the blast was to study EM (electromagnetic) effects on electrical infrastructure. A damaging “EMP” (ElectroMagnetic Pulse) effect had been postulated since the first atomic blast in 1945, usually for long-wire infrastructure. But, no electrical infrastructure damage had been proven from any of the numerous high-altitude nuclear blasts. Starfish Prime was the most thoroughly instrumented nuclear blast in U.S. history. The area of predicted EM effects included numerous populated Pacific Islands. The resultant “definitive” EMP event, became known as the “Hawaiian Street Light Incident.” This incident has developed a cult following within the EMP science community. It has been magnified over the years to the point where many claim that lights were burned out on all of the Hawaiian Islands (not just Oahu) and on many other Pacific Islands as well by an EMP. In actuality, the incident allegedly involved a small number (less than 1%) of street light strings on Oahu. It has been used for decades as the single definitive proof of EMP effects on long-wire infrastructure. With a total of 2,476 nuclear blasts around the world, this is it. Nothing like a mass-damage EMP effect has ever been seen. EMP proof has to lie with this event. For the U.S. Government, looking back, it was now or never. The potential for wide area civilian infrastructure damage from EMP had to be present in this Hawaiian event or the theory would die on the vine and be relegated to joke status alongside Bigfoot. The pre-ordained EMP conclusion is completely false because A) Any electrical failures were statistically insignificant and do not indicate mass-damage, B) The study was completely flawed in that it reviewed no data, C) The shoddy street lighting circuitry in Honolulu at the time was prone to failures that had nothing to do with EMP, and D) The EMP theory itself is theoretically impossible. Starfish Prime was purposely detonated at high-altitude (1,300,000 feet) to observe the various effects, with a primary focus being on the EM effects. Allegedly, higher altitude detonations produce bigger EMPs that cover more territory. There were other outer space detonations, but Starfish Prime was the largest. This is the very type of explosion that EMP advocates fear the most. Even in its nuclear heyday, awash with funding for bombs, launch vehicles, and staff, the U.S. had a hard-time bringing about this high-altitude megaton burst. That being said, even this device, the scariest of the scariest (for EMP purposes) didn’t produce the EMP effect that is claimed. The total number of worldwide nuclear detonations is 2,476. No mass EMP damage has ever occurred from any of them. Yet, we are still required to tremble at the thought of a nuclear EMP. Proving widespread damage to civilian systems is key to obtaining funding for EMP research. Civilians pay the taxes, so they must be in fear. One of the rationales for Starfish Prime was that previous high-altitude tests did not involve a large enough array of instrumentation to collect EM data. The problem is that, from an EMP-production perspective, it was a flop. The Hawaiian incident is still dredged up to this day as the only definitive example of civilian electrical infrastructure damage from a nuclear EMP. The “proof” of the EMP damage is in the form of a revered U.S. funded study that ignores facts. Life Magazine’s Thomas Thompson said that the night sky in Hawaii became “brighter than noon.” The “definitive” study of the streetlight incident was completed by Sandia National Laboratories in 1989. This study supposedly proved that streetlights went out in Hawaii from a nuclear EMP although it reads like a paper debunking the theory. As to bias, it was written by guys funded by the government who wanted a nuclear EMP threat to be real. The streetlight incident is repeatedly quoted in EMP reviews and seems to have originated with a report by S. Glasstone and P.J. Dolan who assert: ‘One of the best authenticated cases was the simultaneous failure of 30 strings … of street lights … on the Hawaiian island of Oahu’ … With the attention surrounding the EMP threat over the last few years, one would expect that detailed analysis of available interaction data would be forthcoming; yet such details have been largely neglected. Even Glasstone and Dolan omit references or a basis for this assertion. M. Rabinowitz pointed out that even 30 strings of streetlights is a small percentage of the total number in the system and are not indicative of mass destruction of electrical systems. There have been suggestions that the 30 strings of streetlights is an overestimate of the EMP damage. If the EMP interaction with the lights was too small to have caused damage, the best authenticated case would be dismissed and the EMP would lose stature as a threat. If the EMP interaction was large, then all the lights would have been damaged. Since that did not occur, the EMP would again lose stature as a threat. … because of the diversity in views concerning EMP, the streetlight incident is a crucial verification of the EMP threat to civilian systems. There were never any widespread damage incidents from a nuclear EMP to study, so this tiny event was it. EMP could not “lose stature as a threat” and this alleged minor incident was the only way to keep the “threat” alive. The 1989 report still stands as the unassailable, although solitary, scientific proof that nuclear EMPs are a significant threat to civilian infrastructure. The Sandia report notes that the Honolulu City and County Street Lighting Department routinely destroyed all records after 10 years. And up until the 1980s, it had all been taken at face value: Yes, of course, a nuclear EMP caused extensive streetlight failures in Hawaii. So, how did the Sandia National Laboratories use their U.S. D.O.E. funding to conduct the definitive study of this supposed EMP event when there were no records to review? They talked to a former Lighting Department employee on the phone (Souza) who had worked previously in Hawaii in 1962. He gave them some unprovable anecdotes. There were no records available, so unproven anecdotes became the basis for the report. So, what is the worst case scenario if we accept all the presumptions and all the anecdotes gathered for the Sandia report? The report refers to newspaper reporting from 1962 indicating that 30 strings of series-connected street-lights failed on the night of the blast. How many strings of lights were there? 3,000. This 1% failure rate doesn’t even address the fact that non-series street lights were the predominant type and had no failures. This also doesn’t include the fact that other electrical systems didn’t fail. So, we are talking about an electrical system failure rate of much smaller than 1%; possibly 1/100 of 1%. This tiny failure rate could not possibly give us the basis for a theory of mass destruction. Despite the lack of records, Mattox set out to find the location of a string of lights that had gone out in 1962. He wanted to make an assessment of the location to learn the configuration. This attempt to ascertain facts was commendable, even if it didn’t give him the result he sought. Sandia’s 1989 conclusions were largely repeats of Mattox’ work from his 1985 site visit, so his observations were important to Sandia as well. Mattox focused on Ferdinand Street as being the probable location of one of the strings. Mattox speculated about the possible wiring from 1962. He concluded that the wiring configuration could not be determined for the Ferdinand string of lights. This probably frustrated him because his main goal was to determine the “azimuth angle” of the wires in relation to the Starfish blast to see if the wires were aligned at an appropriate angle to receive an EMP induced current from the blast. He was unable to make a determination of the angles for the string of wire in the neighborhood since the old system no longer existed. He was left with vague speculation as his guide. 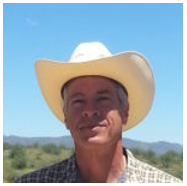 This solitary on-site study should be given more weight than the pseudo-scientific attempts to place imaginary data into computational models to prove an EMP cause. But, it was a total failure since the string of lights no longer existed. He could not extrapolate any estimates about the wire orientations for the other failed light strings either. Everything else in the study, which is built up from a presumption of angles, is just a think-tank exercise devoid of facts. Mattox’ indeterminate assessment from his on-site inspection made it impossible for Sandia to determine the angles of the long gone strings. Yet, ultimately, the desired conclusion was decreed despite the inability to verify the angles. Mattox’ lack of records to study or systems to analyze led to the introduction of anecdotal evidence that was re-used by the Sandia team. Anecdotal evidence (whether it pertains to Bigfoot or EMPs) has a tendency to expand to fit the outcome desired by researchers. The solitary witness became very handy when the Sandia team needed random facts to nail down theories. It is clear from the Sandia report that the hodge-podge status of the street lighting in Hawaii introduced a high chance for regular failures. Another problem with the EMP failure theory is that all of the thousands of series lighting strings were fed off primary strings of mercury vapor lights that had no failures. Why didn’t the long wires for those circuits receive damaging EMP induced voltages? If some of the angles were appropriate to induce extreme EMP voltages on the secondary lighting circuits, why weren’t some of the angles appropriate on the thousands of primary lighting circuits that were always present in the same areas? Two different lighting systems existed side-by-side in the city of Honolulu with the primary circuits powering the secondary circuits. The power was introduced via varying size transformers and varying size fuses put in place to accommodate a varying number of bulbs. It was a strategy of doing whatever it takes to make the lights come on most of the time despite the lack of appropriate parts, infrastructure, circuit design, and internal policies. The island of Oahu had, in 1962, what amounted to a third-world strategy for circuit functionality in the street lighting systems. Changes in the system, when they occurred, were sometimes done without the procurement and installation of proper transformers, fuses, and current-limiting devices. Even Sandia found the system to be mind-boggling. Why No “EMP Failures” in Long-Wire Systems? Sandia doesn’t discuss other non-failing long-wire systems for things like police call boxes, fire alarms, and power lines that are also included in a pole diagram referenced in the Sandia study. Why not? If they didn’t fail, their wire orientation should be studied to determine whether an EMP effect is believable or nonsensical. They weren’t studied for precisely that reason. They should have asked the following question: Why would a tiny number of circuits fail in only one long-wire system and not many circuits in all long-wire systems if long wires would, by their very nature, receive damaging induced EMP voltages and currents? It became clear to Mattox and Sandia that the former wiring configurations were unknowable in the 1980s. Sandia made up imaginary azimuth angles for the affected wires and placed them in mathematical models to see if they could conjure up orientations that would allegedly be more likely to receive an induced electrical force from an EMP coming from Starfish Prime. This was done since azimuth angle was the silver bullet to “prove” the EMP theory. Perhaps knowledge of wiring orientations would show better correlation. … Seven of the 11 angles in Table 3 are within 10 degrees of these two angles, 66 degrees and 24 degrees. With a random distribution, we would expect about five. So, “randomly” chosen wire directions would give five good angles out of eleven. “Good” from their perspective of proving a nuclear EMP. Their guess on wire angles gave seven out of eleven supposedly helpful angles. Another hypothesis made by a Sandia member (Navy Commander Don Shuster, Director of Field Testing at Sandia National Laboratories) rejected the idea of a nuclear EMP as the cause for the small number of failed street lights. His hypothesis, although probably more plausible than the nuclear EMP theory, was ignored when the team presented its conclusions. Shuster explained how failures often occur when there is a near simultaneous switching of a large system-wide load from an “off” state to an “on” state. The mass switching would cause a heavier than normal burden on the system due to the additional start-up power. This spike in demand could result in system failures from such things as blown fuses. Shuster explained that the streetlights in Honolulu were all activated by photocells. His theory noted that as night approaches, different areas become sufficiently dark incrementally causing the photocells to activate street lighting in stages. Street lighting comes on in a naturally staggered fashion since hills, buildings, land contours, and photocell orientation affect the time the circuit comes on. A building or a hillside that shades some photocells would cause different photocells to come on at different times. During a normal evening sunset period, the staggered effect causes street lights to come on gradually. The activations are not close to simultaneous. Therefore, the start-up power demand at sunset is incremental. Shuster concluded that the 11 PM daylight effect from Starfish Prime may have caused the circuits to switch off and then, several minutes later, to switch on more in unison than a normal sunset situation. Recall the newspaper account from the Honolulu Advertiser saying that the entire chain of Hawaiian Islands was lit up like a large athletic event for a seven minute period late at night. Also recall that Life magazine said that the 11 PM night environment in Hawaii became “brighter than noon” from the huge H-Bomb explosion in the sky. Terry Luke of the Honolulu Star-Bulletin took a beautiful picture shortly after 11 PM that is indistinguishable from a daytime picture. It shows the blue sky with wispy white clouds, the buildings on the distant skyline, the light blue ocean off in the distance, and the green bushes beside the black asphalt in the foreground. A sudden simultaneous activation of many circuits would cause a surge in demand that could impact the whole system and easily overload parts of the system causing failures. Each of the mercury vapor lamps on the primary strings that also powered the “secondary” incandescent series circuits required a significant surge of energy at start-up. It is likely that the lighting system would be stressed by such an instantaneous surge in demand. This extra demand could have caused failures. Shuster felt that this surge could have caused the small number of failures that allegedly occurred. This theory, presented in the official Sandia report, seems to deserve more than an inglorious passing mention followed by an outright rejection. It is no less feasible than the nuclear EMP theory. Of course that “protective equipment” includes fuses and some fuses did blow; those blown fuses being the whole purpose of the Sandia study. It seems ludicrous to say that an electrical spike / transient caused by excess simultaneous demand could not cause failures in “protective equipment,” but a spike / transient caused by an EMP could. In order to nail down their rejection of Shuster’s photocell theory, the Sandia team asked the one former employee of the Honolulu City and County Lighting Department if he could recall a close-in-time activation of photocells across the City and County of Honolulu. He recalled that he was watching the blast from a hillside. He concluded that, from his memory, there was not a near-simultaneous photocell activation. So, that’s that. They now had anecdotal verification that there was no close-in-time photocell activation for 3,000 strings of mercury vapor lights and an equivalent number of series strings over the entire island of Oahu. The city of Honolulu covers approximately 43,000 acres. Honolulu County (the portions on the island of Oahu) covers approximately 382,000 acres. The verification was from a guy watching the sky go up in flames from a hillside. He said he didn’t notice simultaneous photocell activation happening across the city and county of Honolulu, so the theory was rejected. That’s the answer the Sandia team needed to shut down Shuster, so they got it. Series connected lights are notoriously problematic and failure prone. Series-connected strings fail often because an individual failing bulb will disrupt the whole circuit and cause the whole series string of lights to fail. These same areas in Oahu no longer use failure-prone series lighting. To avoid this series-wiring argument stemming from individual failed bulbs, the anecdotal interviews conveniently drew out the “fact” that no bulbs were burned out, only fuses. The 23-year-old anecdotes extracted from the former employee by Mattox conveniently included memories that there were no burned-out bulbs that would have caused entire affected strings to fail. This type of failure is a normal non-EMP occurrence for series-wired strings of lights. The very likely “failed bulb” scenario had to be dealt with head-on, in no uncertain terms, to keep EMP on the table. It is ludicrous to state that 3,000 strings of lights had no burned out light bulbs on any particular night; or that a single employee could know that there were no burned out street lights in the lighting strings across the entire city and county of Honolulu on the night of the blast. The approximate number of bulbs on the 3,000 strings would be 75,000 if we use 25 bulbs per string as an average. How could a former employee possibly know — or dredge up a memory from decades past with no records to fall back on — that none of the 75,000 series-wired bulbs across the city and county of Honolulu were burned out that particular night? It is way more likely that there are always some burned-out bulbs when you are talking about a system that contains tens of thousands of bulbs. Sandia needed failures in each of the small number of failing strings to be from fuse failures, not from an occasional burned-out bulb that would have caused the whole string of lights to fail. So, Sandia and Mattox conveniently got that result by querying the former employee who “remembered” that there were no burned out street light bulbs in Honolulu that night. Voltage consistency and bulb count didn’t seem to matter in this lighting department in 1962. A flexible hand-modifiable fusing system also masked the voltage and impedance inconsistencies in the circuits. Strings of varying bulb counts, from 20 to 30, are mentioned in the report, the quantities having been selected in each string to fit the meandering shapes of each neighborhood. In other words, the series circuit design was flexible and determined by the utility company employee on site. It was flexible as to the number of bulbs, the estimated voltage needed to light those bulbs, and the amount of stackable fusing needed to keep the circuit from blowing. There was definitely no consistency in the street lighting on Oahu in 1962. If it failed, they stacked on more plastic washers to increase the fusing gap between the lead disks. After the report admirably states the uncertainties coming out of a lack of records and an inability to ascertain line orientation or circuit characteristics, it delves into complex calculations reminiscent of what Dr. Sheldon Cooper would put up on a whiteboard on the show, “The Big Bang Theory.” But, as the saying goes, “Garbage in, garbage out.” The calculations are pointless because they are based on invented data. Did you get that? In the very section that is making detailed calculations to prove that an EMP caused the line failures, Sandia says that “Detailed calculations are not justified because of such uncertainties.” But, of course, the Sandia group couldn’t expend their government funds and then conclude that nuclear EMP is not real or not provable from the supposed Oahu Island event. They do, in essence, say throughout the report that it is unknowable and unprovable, but their bottom line must be something else that is dictated by their paymasters. The analysis section is peppered with “imaginary” complex calculations based on invented data and tables that are even labelled with the word “imaginary.” Language like the following permeates the analysis section, “Consistent with the uncertainties involved, there are several variations that could be examined to alter the open-circuit voltage.” Variables are plugged into pointless equations to give the appearance of scientific analysis. The deferential language admitting ignorance of the facts apparently forgives the false appearance of reliability given by the hyper-specific calculations. Very true. They manufactured a workable scenario with invented data and mushy science, but then concluded it should have caused widespread circuit failures. They then, conveniently, scale back the invented data in their variables making the values be at the threshold for some damage. Liking these invented numbers better — that don’t fit the facts or the science — they conclude that a nuclear EMP caused the Hawaiian street light failures. It is an odd conclusion. They admit that wire orientation cannot be known. So, capture angles cannot be shown to be adequate (per their flawed theory) to receive an induced voltage due to an EMP from the direction of the blast. All that they have concluded from their armchair view of the event is that a very small number of light strings failed from voltage or current issues. This has always happened in electrical systems throughout history; especially in hodge-podge systems like the lighting circuits of Honolulu in 1962. This avenue riddled with falsehoods gave them the affirmative answer they needed. …we cannot claim to have a rigorous analysis of the 1962 Hawaiian streetlight incident. … lack of circuit details for 1962 prevent a rigorous analysis today. Such data as “How many clear-plastic washers were in the transformer cutouts that failed?” are not now available. Really? How can you say both of those contradictory things in a half-page wrap-up? They then commit the atrocity of attributing the small (1%) failure within a certain type of street light circuit to a nuclear EMP even though none of the predominant mercury vapor lamp circuits or any of the other long-wire systems in Honolulu failed even to a small extent. The estimated differential-mode voltages are enough to have caused the observed damage … This analysis gives a basis for attributing the cutout damage to an EMP effect and supports earlier claims of EMP effects on the Hawaiian streetlights. So, they admit to making up voltages that they think would blow a tiny number of fuses. They then use the made-up data to legitimize the Hawaiian incident as an EMP effect. Despite the team’s laudable moral constraints and efforts to tell the truth about lack of data and shoddy system design in the body of the report, it is obvious that the EMP damage conclusion was a fait accompli. It feels like a movie that had an alternate ending spliced on. I would have preferred the truthful ending; not the one tacked on by the censors.